Beazer Homes stock was soaring on Tuesday following the release of its earnings report for it fiscal fourth quarter of 2018. Beazer Homes also reported net income of $60.61 billion for fiscal fourth quarter of the year. This is a massive increase over the company’s net income of $33.65 million reported in the same period of the year prior. Operating income reported by Beazer Homes for its fiscal fourth quarter of 2018 came in at $43.46 million. This is up from the home construction company’s operating income of $37.78 million from its fiscal fourth quarter of the previous year. Beazer Homes reported revenue of $767.95 million for its fiscal fourth quarter of the year. The company’s revenue from the same time last year was $672.98 million. This was good news for Beazer Homes stock by beating out analysts’ revenue estimate of $747.32 million for the quarter. It wasn’t just great earnings that was a boon for Beazer Homes stock today. The company also notes that it has completed its 2B-10 plan and has finished off its $250 million debt reduction plan. At the same time, the company says it is starting a $50 million share repurchase plan and is also launching a matching debt reduction plan. BZH stock was up 29% as of Tuesday afternoon, but is down 57% year-to-date. 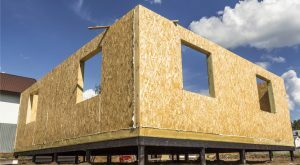 Article printed from InvestorPlace Media, https://investorplace.com/2018/11/why-beazer-homes-stock-is-skyrocketing/.